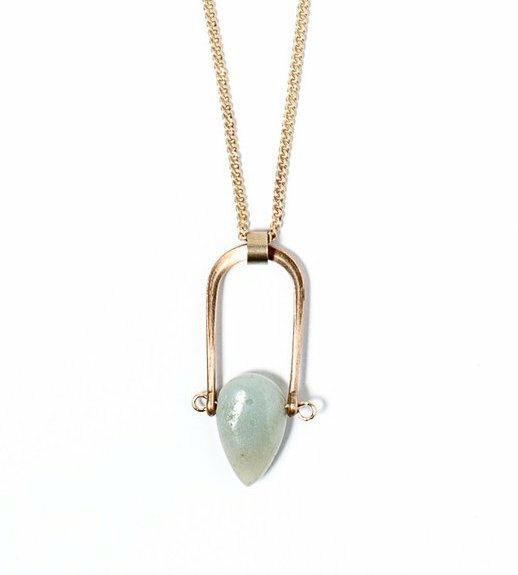 Vintage brass curved findings with amazonite raindrops. Pendants are 1/2" x 1 1/2". 18" vintage brass chain.